Many dog owners and professional trainers make their choices in favor of Herm Sprenger products for dogs. 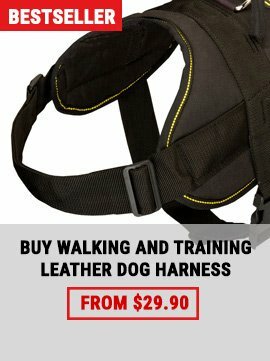 Because this company has huge experience in production and selling quality stuff for dogs, practically no one can compete with this German company. Its products are always in demand. We, in our turn, provide our online-shoppers with HS products. We run family honest business built on trust. We never overprice products and we sell only quality stuff that has the certificate of origin and quality. You won't regret a second buying stuff from our online shop. Herm Sprenger manufacturers standard line is for everyone in the world. Don't be fooled by some retailers who claim that Herm Sprenger products they offer were specifically manufactured for them. This is cheap dirty trick to justify higher price, don't fall into this trap. Here we present quality Chrome Plated Pinch Collar with Quick Release Snap Hook. 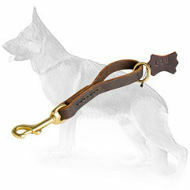 It is strong and was specially designed for powerful breed like German Shepherd. 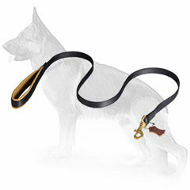 It helps to correct dog's behavior and makes everyday walking in public places safer. It gives excellent control over the dog. It is very fast in use you won't have spend much time to open it and put on or off the dog's neck. 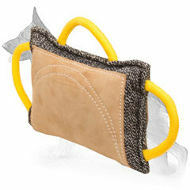 It became possible due Quick release Scissor Type Snap Hook that allows quickly to fasten collar with one hand only. The surface of this pinch collar is covered with chromium that is resistant to oxidation. Still you should know that steel chrome plated material is guaranteed against tarnish or breakage, it is not guaranteed against rust. On the spots where links are attached chrome covering layer might vanish with time, on those spots rust will occur on the long run, especially if you live in climate with high humidity. You might think of same design collar made of stainless steel that is guaranteed against rust as well. 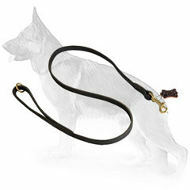 But if your dog's collar is not going to often contact with water or intense humidity it is a perfect choice. 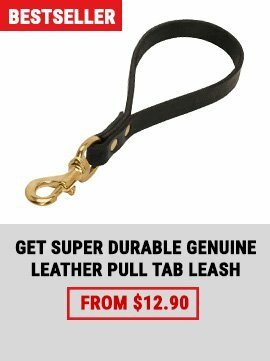 The size of this particular Pinch Dog Collar is 23 inch (58 cm) with prongs diameter - 3.25 mm. 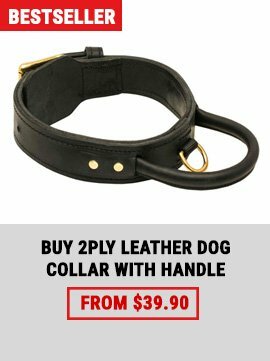 If your dog's neck circumference is more then 22 inch (55 cm), you can order an additional link, that will add 1 2/5 inch (3.5 cm) to the total collar length. 3.90 mm - diameter of the prongs, 10 links - quantity of links, 25 inch (65 cm) - overall length of the correction collar. The weight of this Dog Pinch Collar is about 8.6 oz (245 g). Classic design collar received finally little dramatic change which is going to make your life easier. Traditional wire eye link has been replaced with a secure fastener plate that provides more secure connection. Now you can fasten collar faster, easier and most important with one hand only. 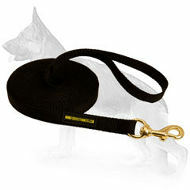 Design of this pinch collar allows to spread pressure in even way around your dog's neck. HS Sprenger Scissor Type Snap Hook helps to perform quick one hand release. The steel-chrome plated pinch collar has 1 welded ring and very well rounded central links. Length of this collar is adjustable. Proper use requires a snug fit. So keep in mind this when you will be measuring your dog for his pinch collar. Quick release mechanism is not right choice for every handler. If you tend to throw your collars on concrete or asphalt, gentle quick release might break. In this case consider purchasing same pinch collar without quick release. 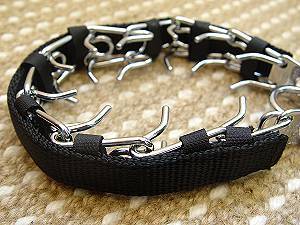 To put this collar on one's dog, one must take one of the prong links and disconnect it from another link that is just like it. Like a string of paper clips. 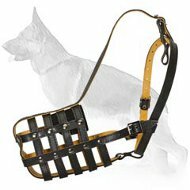 You unfasten one and take the opened collar and place it, fasten it around the dog's neck so it is high on the neck. 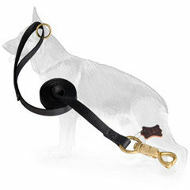 It should fit so the links are not pressing against the dog's neck with any pressure if the dog is not doing anything. For adjustments, you may need to remove or add links in order to get the perfect fit. Rethread the opened link back into it's mate. 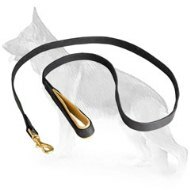 safe walking pinch collar, for total control over the dog.